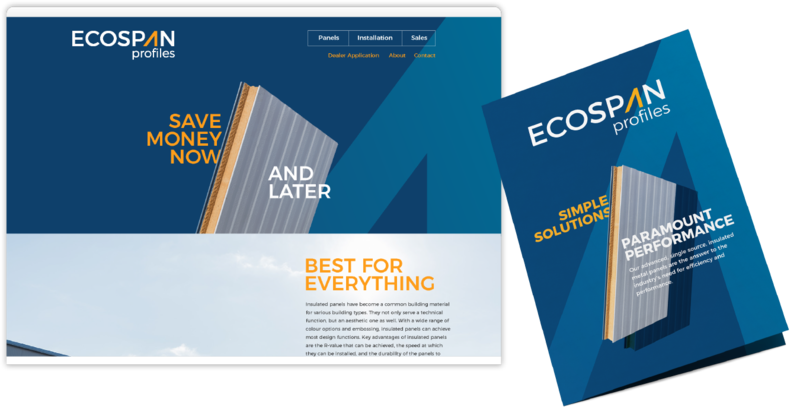 Ecospan is a new entrant into the insulated metal panel industry. Their sister company have years of experience in metal roller forming, so the leap to insulated metal panels was a short hop. As a start up company, their immediate requirements were for a Visual Identity package and website. Our relationship with Ecospan has resulted in a number of opportunities to continue building into the brand. This is where we excel; at partnering with our clients to continue to build success.